After limiting the charging on some Galaxy Note 7 units to 60% and outright stopping it for devices in the US, Samsung will issue a new update to end the charging of the remaining Galaxy Note 7s around the world. Samsung has reported that it has regained around 97% of Galaxy Note 7 units but it seems some are still holding on to their units. In the interest of protecting those people that Samsung will start completely disabling their charging later this month. 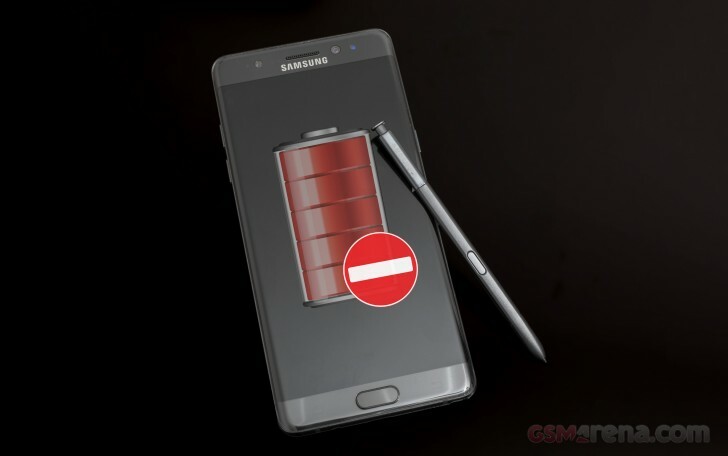 Similar measures have been in effect in some countries like limiting the Galaxy Note 7's network connectivity. Since the Galaxy Note 7 proved to have a fatal flaw and Samsung had to pull the phablet out of the market, the Galaxy S7 edge has been working overtime to compensate for the lack of a large screen Samsung flagship. All of that is about to change next week with the unveiling of the Samsung Galaxy S8 and S8+ with a 5.8" and 6.2" 18:9 screens. Thanks, Wang, for the tip! At least they proved to do anything to prevent further damage. Considering they sold 3.5 million and 3% have not been returned means that there is still over 100,000 note 7's out in the wild.